// 1. Ensure you are signed in (if not, visit https://vimeo.com/log_in). // 2. Set `VIMEO_CHANNEL_ID` below to the channel ID corresponding to the channel you want to add the video to. // The channel ID appears at the end of the channel URL (e.g., https://vimeo.com/channels/1434599). // See the other script for a snippet to run to navigate to your list of channels. 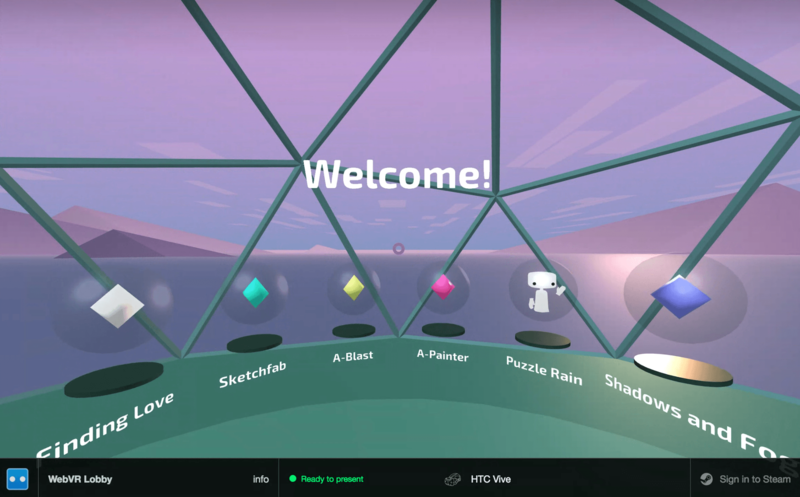 Using Myk Melez's qbrt project, @cvan's maintained a forked branch, vr, as the foundation for building a standalone, self-contained executable of Desktop Firefox w/ enabled-by-default WebVR Support. Done in March – April 2017 at Mozilla in the Mixed Reality program, this experiment was led by @cvan and @caseyyee, codenamed Moonrise. Moonrise could generate Windows, macOS, and Linux releases of a wrapper program of this branch of qbrt. // Useful helper snippet for understanding the capabilities of a user's system from Node.js' built-in `process.arch` and `process.platform`. If a user is browsing videos on YouTube.com from a web browser on a higher-end device (e.g., VR headsets), the user has to manually override the playback quality of a video through the playback-controls bar at the bottom of the video: Settings > Quality. Then paste some of this code in the DevTools' Console. You'll notice the quality changes to the highest available for the video. # Capture a bunch of screenshots so we can be sure that we get the frame we want.